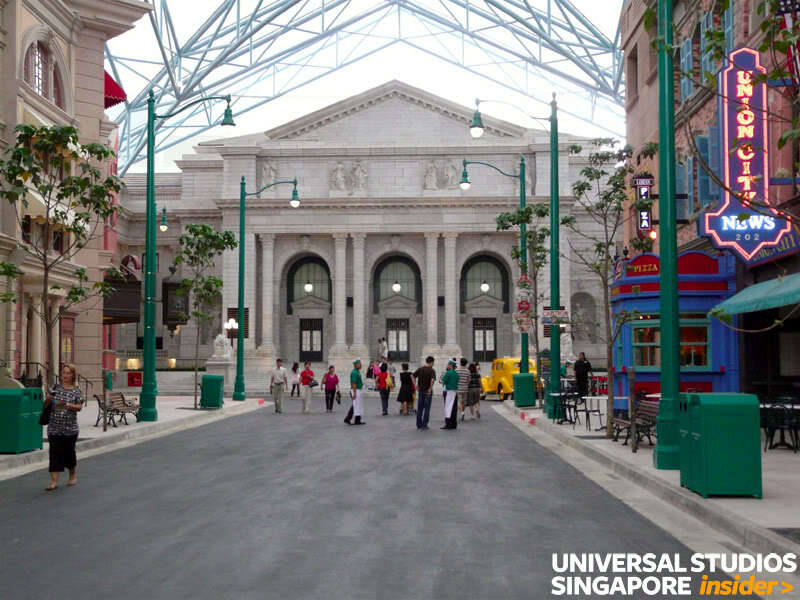 In this post, I will be comparing the various buildings in New York street in Universal Studios Singapore against the real buildings found in New York, New York. 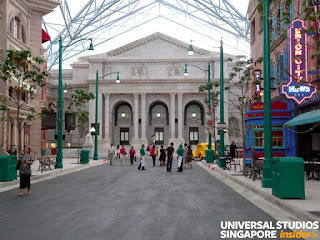 New York street is one of the most detailed themed zones in Universal Singapore, and the attention to detail in the zone is very amazing. 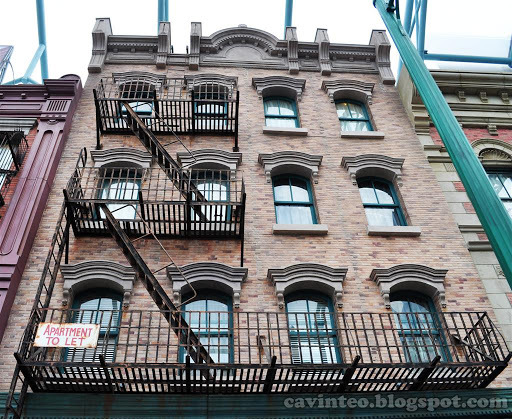 Many of the buildings there are actually based on real buildings in New York, and this adds to the level of authenticity. 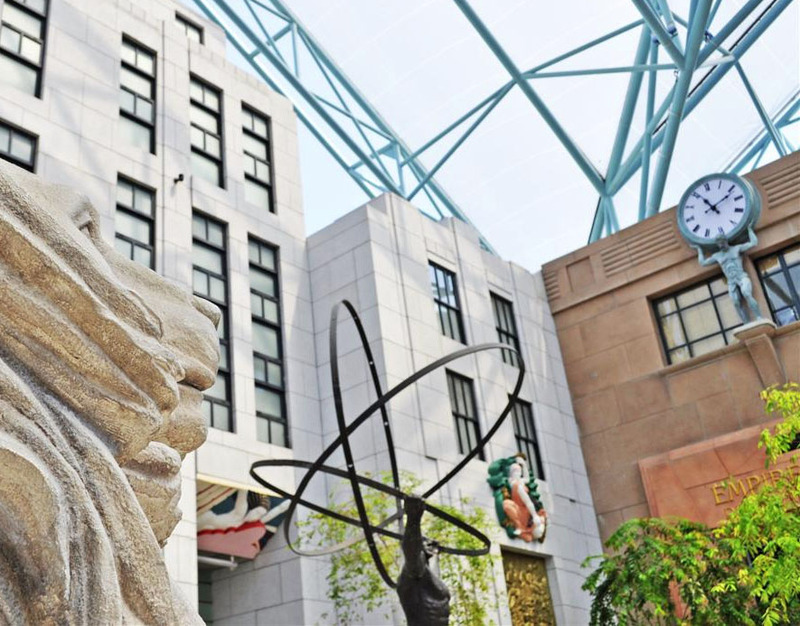 The various architectural styles and references in the park is actually impressively accurate. The view of New York street from the entrance is dominated by the the Neo-classical building that looms at the end of the street. 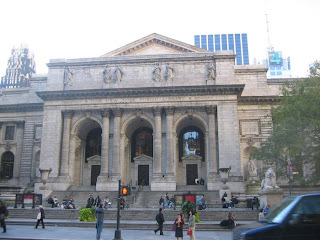 This facade is actually modelled after the real New York public library, found on 5th Ave in Manhattan. The real deal - see the likeness? 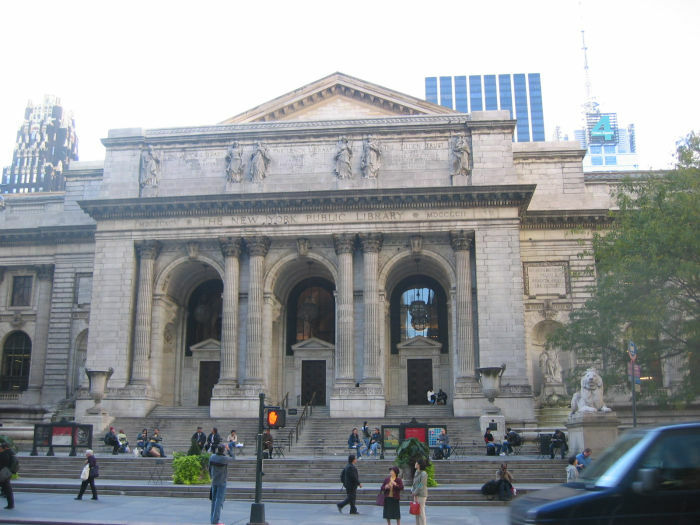 The New York Public library is actually a really famous building, and it was featured in various blockbuster Hollywood films. Who can forget the apocalyptic scene in The Day After Tomorrow where the characters hide out from Mother Nature's fury in the New York Public Library? 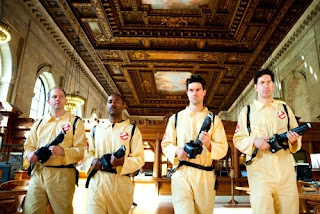 Or the goofy Ghostbusters busting ghosts in the vaults of the Library? 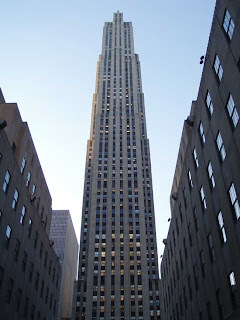 The next recognizable building on New York street is the Rockefeller building right next to the Public Library. 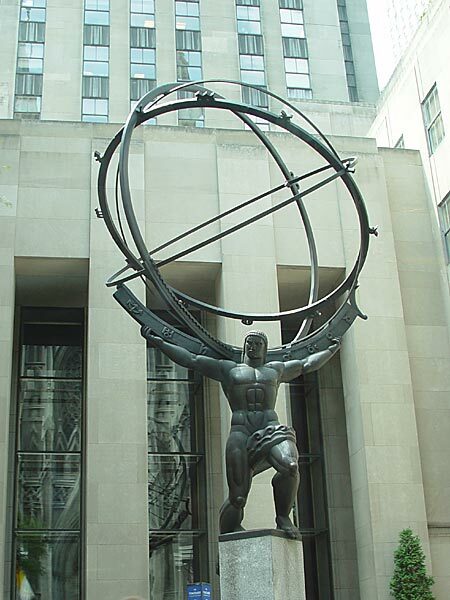 The Rockefeller Center is well known for its public art program. 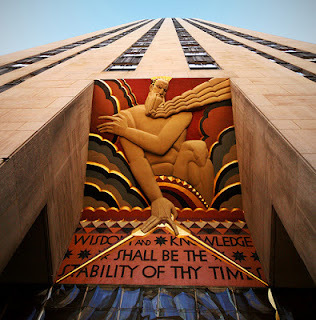 The entire complex is literally filled with dramatic pieces of Art Deco works that celebrate the spirit and achievements of mankind. 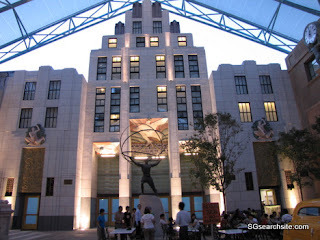 The mural behind Atlas in Universal Studios Singapore is modeled after the mural above the main entrance to the Rockefeller building. 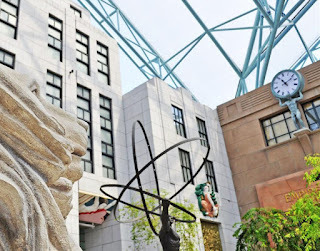 Notice that in the photo, there is no mural behind Atlas in the original building. The shape of the facade also closely follows the original building. Forced perspective is put to great use here to give the impression of a tall building when the facade is actually only about 3 stories tall. 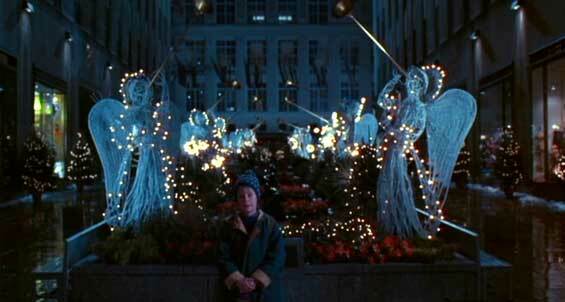 Who can forget the heartwarming scene in Home Alone 2 that was filmed in front of the Rockefeller center? Next to the Rockefeller center is actually a small clock, above the Empire State Emporium. 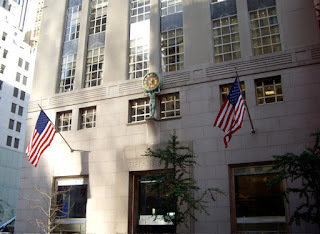 This clock is modelled after the facade of the famous Tiffany and Co on 5th Ave, as pictured below. Finally, the rest of the buildings on New York street is modelled after the Tenement style of architecture, found all over New York, as well as other cities along the East Coast, like Philadelphia. 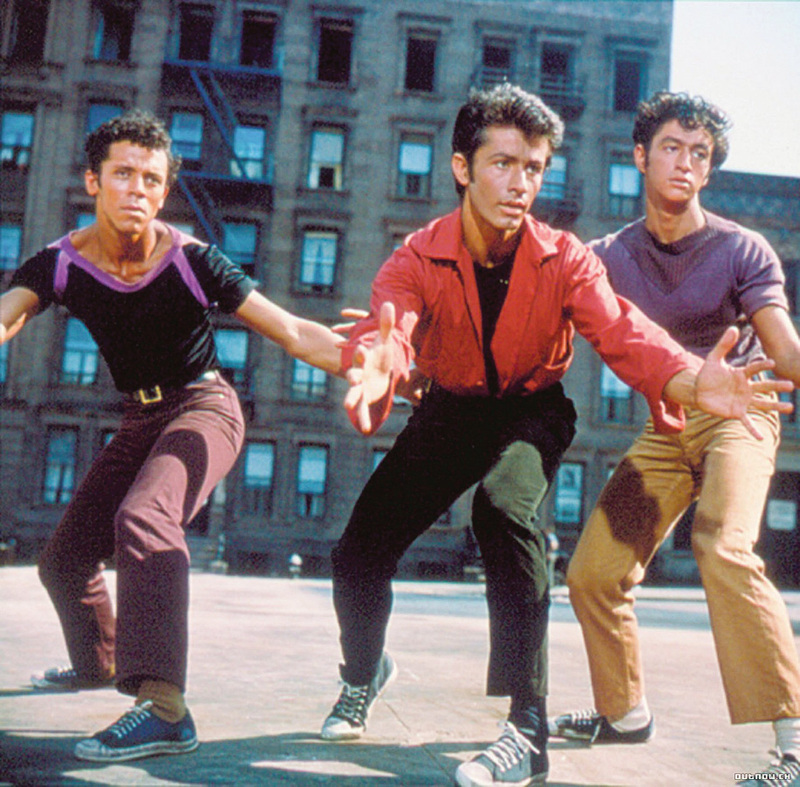 That concludes our tour of New York street. Do look out for more posts in the future.